Waterpik Aquarius Water Flosser vs. Sonicare Airfloss: Which Is Best For You? MIO Alpha vs. Polar FT7 vs. TomTom Cardio: Which Is The Best Choice For You? MIO Alpha vs. Link Strapless Heart Rate Monitors: What’s The Difference and Which Is a Better Choice for You? 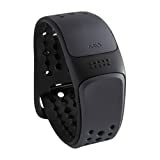 MIO wrists bands are a new generation of heart rate monitors that, unlike monitors like Polar for example, are strapless. They give you precise heart rate monitoring without the need for a chest strap, making them more convenient to use. In this post, we’ll be comparing two MIO heart rate monitors, the MIO Alpha vs. the more affordable MIO Link. MIO Alpha vs. Link, What Is The Difference? Configurable heart rate zone, LED and audible alerts available. Wireless data transfer to a smartphone app using Bluetooth. Compatible with its own app as well as many other fitness apps. Gives you a full review of your workout, including: total exercise time, average heart rate and time ‘in zone’. Click here to learn more about MIO Alpha, read the customer reviews and buy it. No screen, data is displayed on a smartphone app. Features LED light indicators to notify you that you’re in your zone. Wireless data transmission via Bluetooth. Connects to a number to fitness apps in addition to the MIO app. Customizable heart rate zones can be setup using the app. Battery life: 7 to 8 hrs. Click here to learn more about the MIO Link, read the customer reviews and buy it. The MIO Alpha is a more advanced option with its LED Display and its long battery life of 20 to 24hrs. Its post work-out review is great as well. Other than these advancements, you get the similar features from the MIO Link. While the MIO Alpha is more advanced, it’s also a more expensive option. If it’s within your budget, we do recommend buy it. Why? Because soon enough, as you advance in your workout routine, you’ll need to advanced capabilities of the Alpha. So instead of replacing a less advanced and less costly watch after a while, it’s better to get ahead and get the full package, which will pay for itself in time.